This entry was posted on October 1, 2018 by ND T4D. If you’re at all familiar with Audemars Piguet, you will no doubt be familiar with the brand’s two most famous models—the Royal Oak and the Royal Oak Offshore. While these two luxury sports watches are no doubt linked, they are quite different watches. Let’s compare the Royal Oak vs. the Royal Oak Offshore to highlight their similarities and differences. Born in 1972, the Royal Oak watch by Audemars Piguet rocked the luxury watch world with its brash silhouette, stainless steel construction, and hefty price tag. It was Gerald Genta who designed the Royal Oak after he was instructed by the heads of AP to create a sports watch unlike anything already available in the market. Genta obliged and designed the now familiar watch with its large case, octagonal bezel, hobnail patterned "Tapisserie" dial, and integrated bracelet. Although the Royal Oak was initially met with hesitation from the public during its debut over 45 years ago, today it is one of the most coveted luxury watches to own. As a matter of fact, the Royal Oak is Audemars Piguet’s flagship model, available in a host of different materials such as steel, gold, and ceramic, not to mention gem-set options too. A particularly interesting material used within the Royal Oak collection is one Audemars Piguet calls Frosted Gold, characterized by a distinct shimmering texture achieved by hammering the gold. There are also plenty of size options available for both men and women. While the first Royal Oak was a simple time and date model, today, Audemars Piguet has furnished the collection with a number of different complications. From Royal Oak Chronograph models to Royal Oak Perpetual Calendar watches to Royal Oak Tourbillon timepieces, there’s plenty to choose from for haute horology enthusiasts. Depending on the specific model, the Royal Oak can run on an automatic movement, a hand-wound movement, or a quartz movement. This is due to the bold nature of the watch that did not fit into the timepiece trends of the era. First, it came equipped with what was considered a massive case, measuring 42mm, made even bigger thanks to the protruding chronograph pushers and winding crown. What’s more, the pushers and crown are covered in silicon caps and there’s a visible black gasket sitting underneath the famed octagonal bezel. The iconic AP integrated bracelet was used on the first Royal Oak Offshore model and is available on several modern versions of the watch today. The Royal Oak Offshore began its life as a special edition of the Royal Oak watch, however today the ROO is its own collection housing a vast assortment of watches. Like the Royal Oak, there is a wide range of Royal Oak Offshore watches available in different metals, colorways, and sizes. There are Royal Oak Offshore watches in ceramic, in solid gold, and of course, stainless steel. 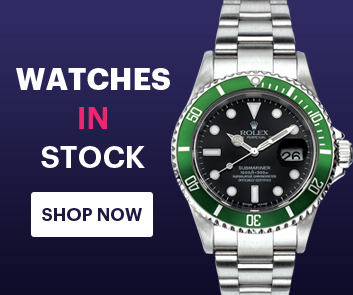 Bracelet selection within the Royal Oak Offshore lineup is plentiful ranging from integrated metal bracelets to sporty rubber straps to dressy leather bands. There are also the Royal Oak Offshore Diver Chronograph watches, some in bright neon colors, and all equipped with helium escape valves and diving inner bezels. Royal Oak or Royal Oak Offshore? In short, the Royal Oak Offshore is the bigger, bolder, and brasher spinoff of the Royal Oak. Both instantly recognizable, yet each offering a distinct set of design elements, both of these watches are undeniable Audemars Piguet legends.